Superhero Street Faire. San Francisco, California. 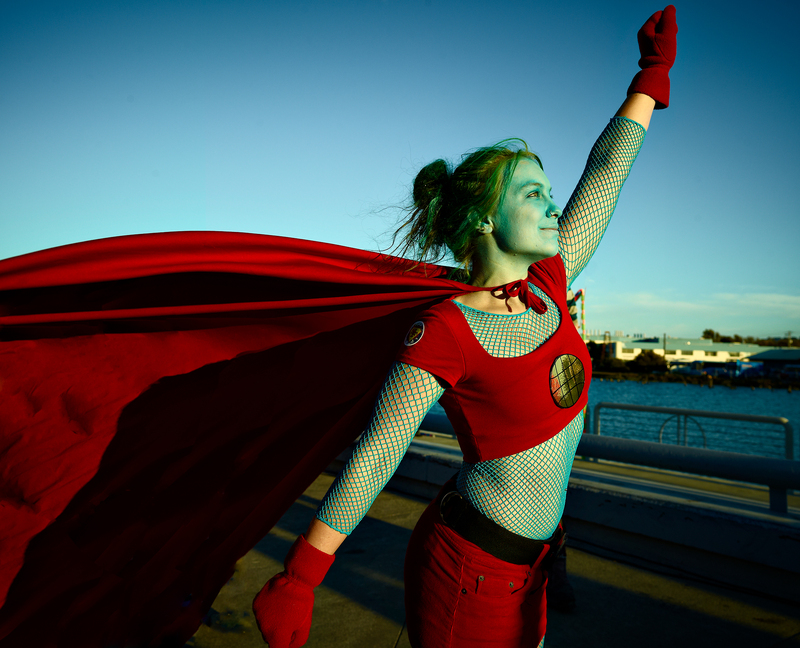 A young woman prepares for take off at the 3rd annual Super Hero Street Faire held on September 22nd, 2012 in San Francisco, California. The event was held at the Islais Creek Promenade and provides a platfrom to honor extraordinary people in the community and their contribution to culture, music and the arts.